Cut butter into chunks and place it in a medium bowl. Add flour, oats, salt and sugar and use hands to mix into butter until well combined. Add almonds and mix for a few seconds more, until evenly distributed through butter mixture. Set aside in refrigerator. 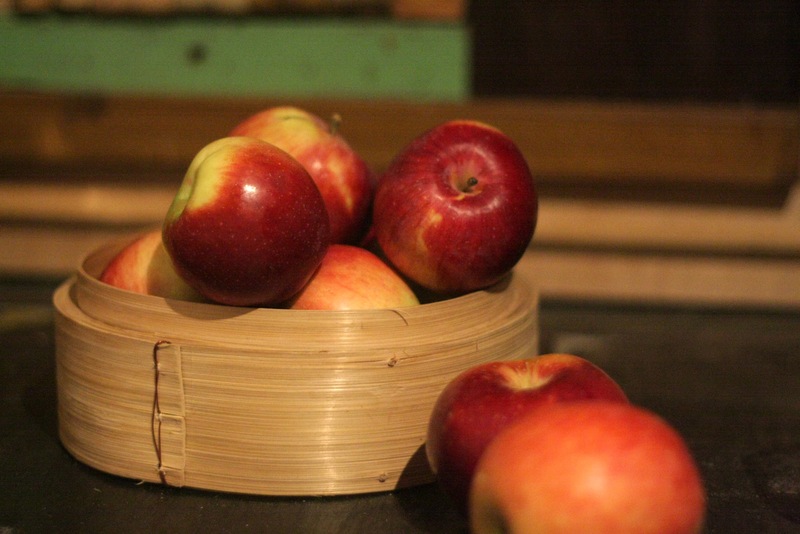 Peel the apples and slice them. In a bowl combine cinnamon and sugar. 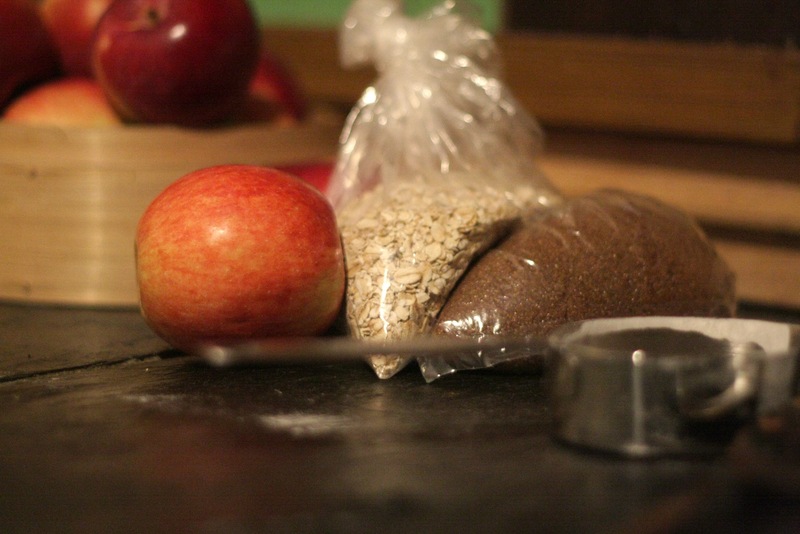 Add the apple slices and toss until coated. Place 1/3 of the crumble mixture in a pie pan or small casserole and press it down until the bottom is covered in a thin layer of the mixture. 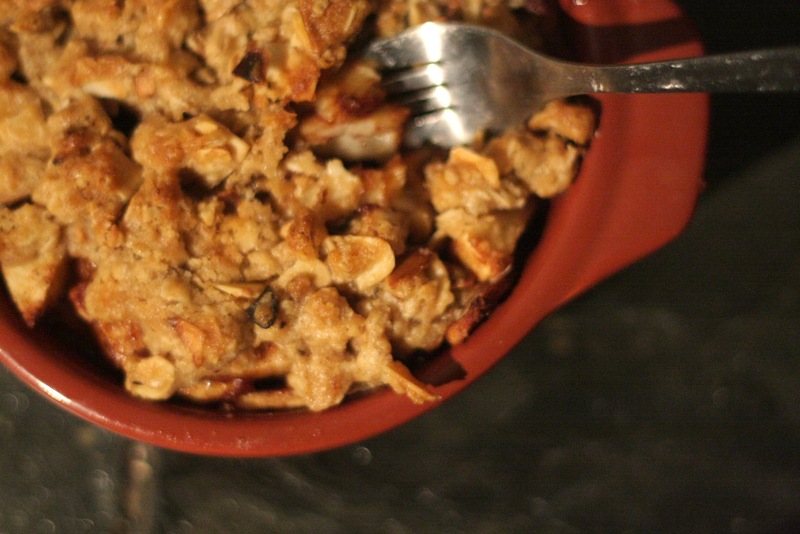 Pile the apples into the pan and top with small chunks the remaining crumble until most of the apple is covered. Bake for 30 to 35 minutes or until crust on top is golden brown. Note: the crumble mixture will keep just fine covered in the fridge for two or three days, I often make it in advance to save some time. 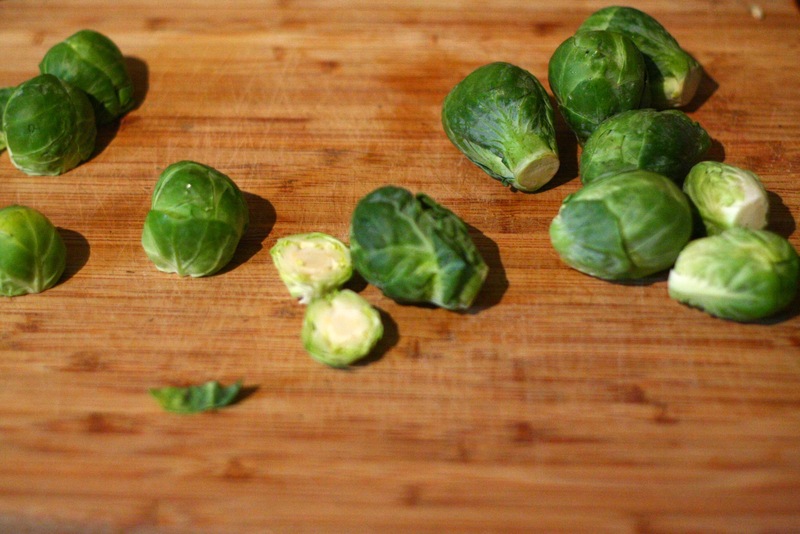 Brussels sprouts are my favourite vegetable. I love asparagus and beets and broccoli and whatnot but I feel like brussels sprouts need my love more; they get so much undeserved scorn. I blame the negative reaction many people have to these poor defenseless little baby cabbages improper preparation. Too many people have had them steamed until they’re bitter mush or, even worse, boiled. I’ve served this recipe to people who claimed unequivocally to hate brussels sprouts and they’ve enthusiastically finished every bite. 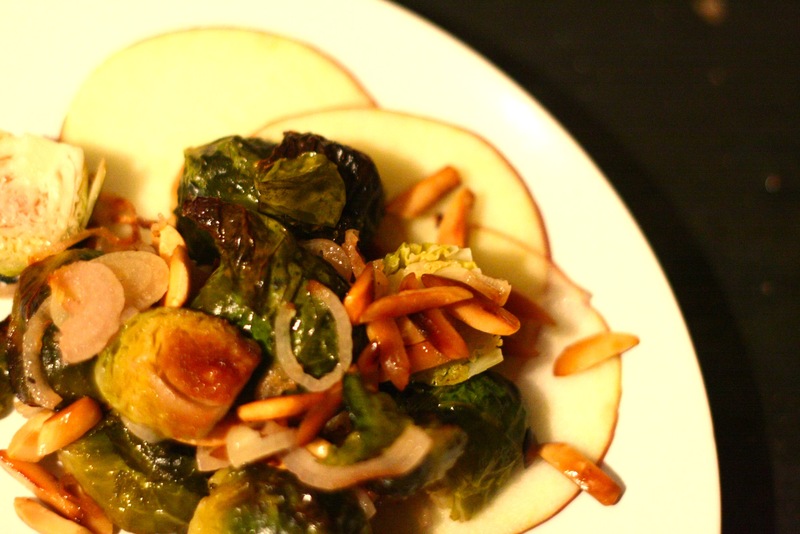 Roasted brussels sprouts get a wonderful nutty sweet flavour and with the addition of toasted almonds, crisp fresh apple and savory shallots they’re easy to love. 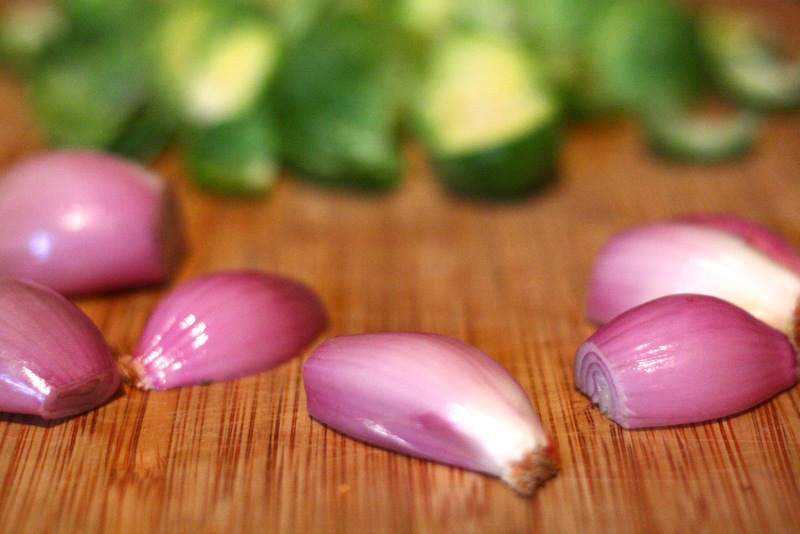 Serves 4 as appetizer or side dish. Preheat oven to 450°F with rack in the middle. In an ovenproof pan or casserole, melt butter while oven is heating. 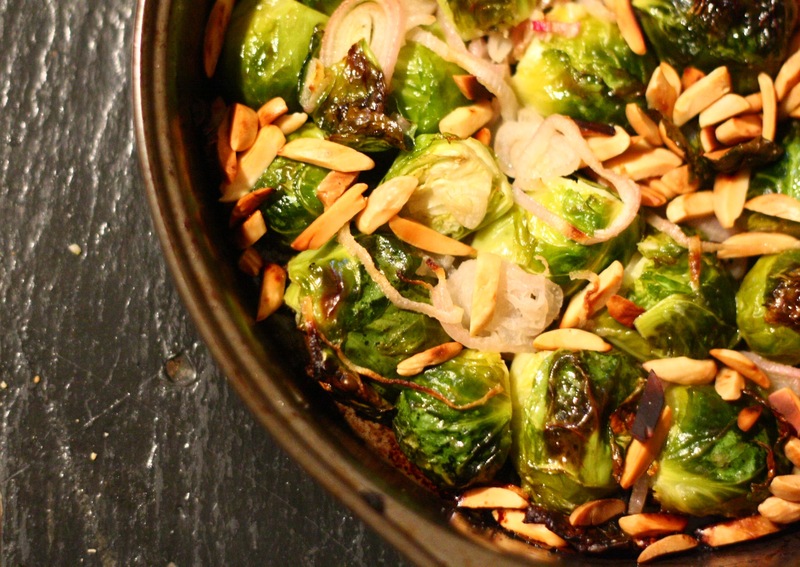 Toss brussels sprouts, almonds and shallots in butter along with salt and cider vinegar. Arrange brussels sprouts in the pan so they rest cut side down in a single layer and roast 35 to 40 minutes or until outer leaves of sprouts are dark brown but not black. 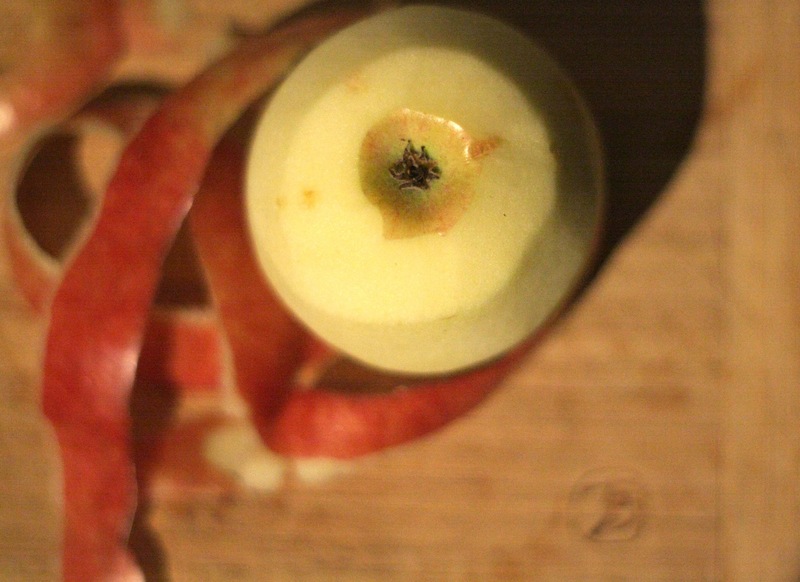 Slice apple thinly. Arrange three slices on a plate and top with roasted brussels sprout mixture. Serve immediately. Goes well as a side with crusted pork tenderloin.